Availability software specialist Veeam is growing strongly in Australia and around the world. Veeam APJ vice-president Shaun McLagan told iTWire that the company had seen a 46% growth in net new business over the last year in Australia and New Zealand, and had recently signed its 10,000th customer. Veeam co-CEO and president Peter McKay said Veeam’s experience was similar in other parts of the world. The company has more than 307,000 customers, and over the last two years has averaged 133 new customers a day. The enterprise market is Veeam’s fastest growing segment, but the company is seeing good growth among midmarket and SME customers. While other companies are moving jobs out of Australia and New Zealand, Veeam is increasing its local headcount, said McLagan. There is “an excellent skill base in this region” and Veeam is achieving higher NPS numbers than its competitors. Veeam’s software is the global leader for moving workloads to Azure and AWS, according to McKay. But that traffic isn’t all one-way. McLagan pointed out that some Australian workloads are being moved back from the cloud to on-premises systems, with the decision being made on cost grounds. This pattern is similar to what happened with outsourcing, but more quickly, he suggested – the ‘your mess for less’ model didn’t really work, and the pendulum has swung back more quickly with cloud workloads than it did with outsourcing. If you can run a workload better, more safely and more cheaply on premises, that’s where it should be. It is also easier to derive value from data that’s stored on premises, he suggested. McKay said the experience in other parts of the world was similar. Using the cloud meant organisations could move more quickly, but it wasn’t necessarily a cheaper approach. Cloud makes sense for some workloads, but the ‘cloud first’ approach probably doesn’t make sense as the decision should be made after consideration of the centrality of the data concerned. Wherever data is located, it still needs to be managed and backed up, McLagan said. McKay underlined that point, emphasising that it applies to SaaS: you can’t rely on Microsoft to back up your Office 365 data, he said. Veeam recently launched Veeam Backup for Microsoft Office 365 v2, allowing SharePoint, OneDrive for Business and Exchange data to be backed up from Microsoft Office 365 to the public cloud (eg, AWS or Azure), a local service provider, or on-premises storage. A free three-month trial is available. Around four million Office 365 mailboxes are currently being backed up with Veeam, McKay said. The total amount of all data is doubling every two years, and it doesn’t matter where it is stored – in the data centre, IaaS, SaaS, endpoint devices and so on – companies are increasingly reliant on this data and it needs to be protected and managed, and Veeam helps make that data always available and protected, he said. 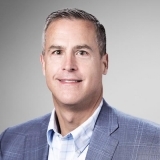 McKay spoke to iTWire while he was in Australia for the company’s VeeamON Forum customer event in Sydney, which he described as “a good way to deliver the message” to local customers about the announcements made at VeeamON 2018 in Chicago in May, noting that around 500 people attended the Sydney event.